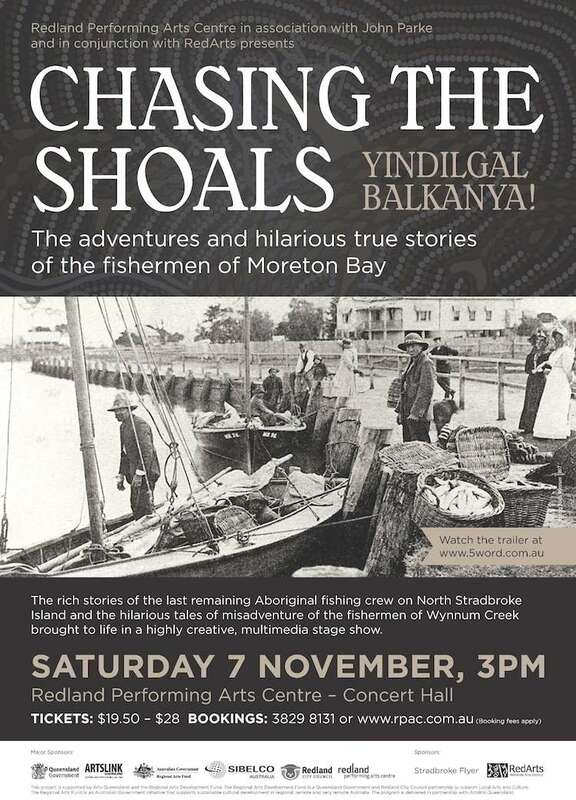 John Parke, who published Against the Tide in 2013 about the fishing industry in Moreton Bay, has put together a multimedia show about the last Aboriginal fishing crew on North Stradbroke Island called Chasing the shoals – yindilgal balkanya. 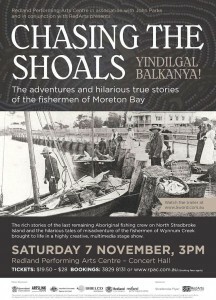 It is all about the adventures and hilarious true stories of the fishermen of Wynnum Creek. The rich stories of the last Aboriginal fishing crew on North Stradbroke Island and the fishermen of Wynnum Creek are brought to life in a highly creative, multimedia show that features actors, short films, traditional dancers, didge fusion music and magnificent images of the beaches of North Stradbroke Island. The show is about change, loss, resilience, courage and the humour that sustained the fishermen of Moreton Bay in the face of insurmountable challenges. HOW MUCH …if you mention the Republic of Wynnum when you book you get discounted tickets at $18 rather than the normal $28!